My third courthouse wedding of 2018 (woo!). I met this wonderful woman Ashley when she opened her new store in Fort Worth Wanderer. 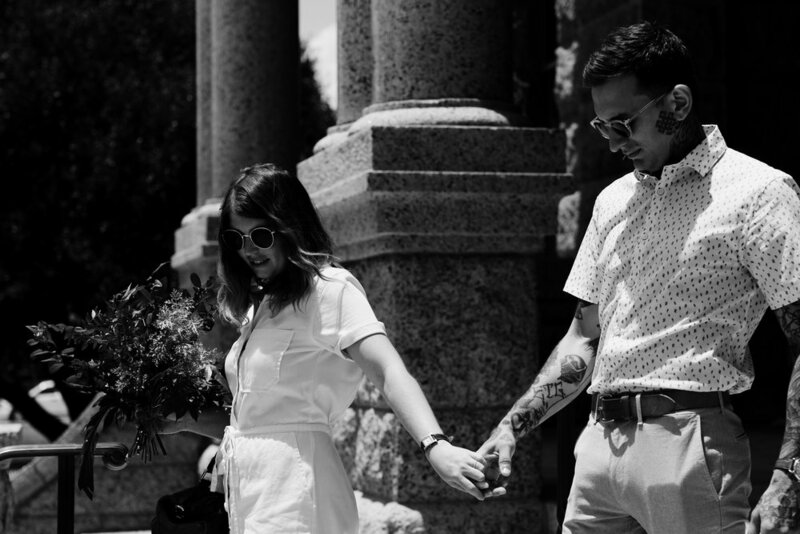 After a few conversations and collaborations, she asked me to shoot her elopement. I am so happy with how the photos turned out. Being apart of these intimate ceremonies were some of my favorite parts of 2018. I can't wait to shoot more in 2019! 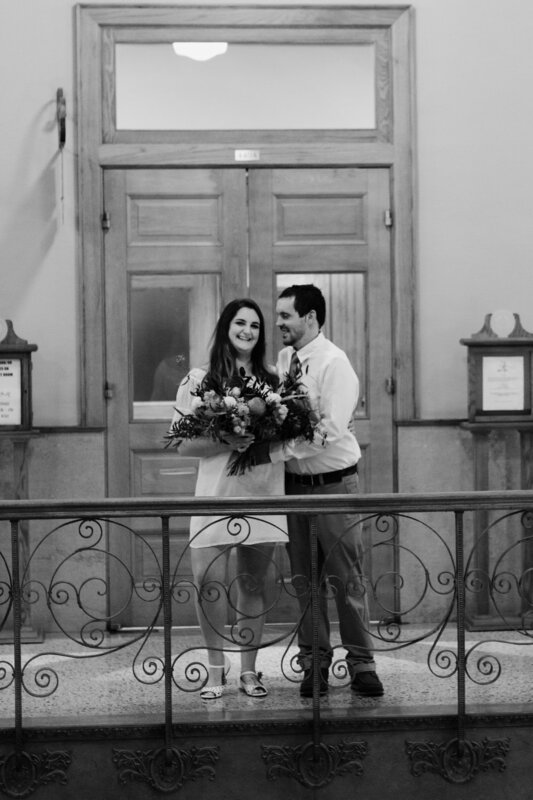 About a month ago (I promise I am working on consistent blog updates) I had the opportunity to shoot my coworkers courthouse wedding. I really am starting to enjoy shooting this style of wedding. It is simple and focused solely on one thing, love. 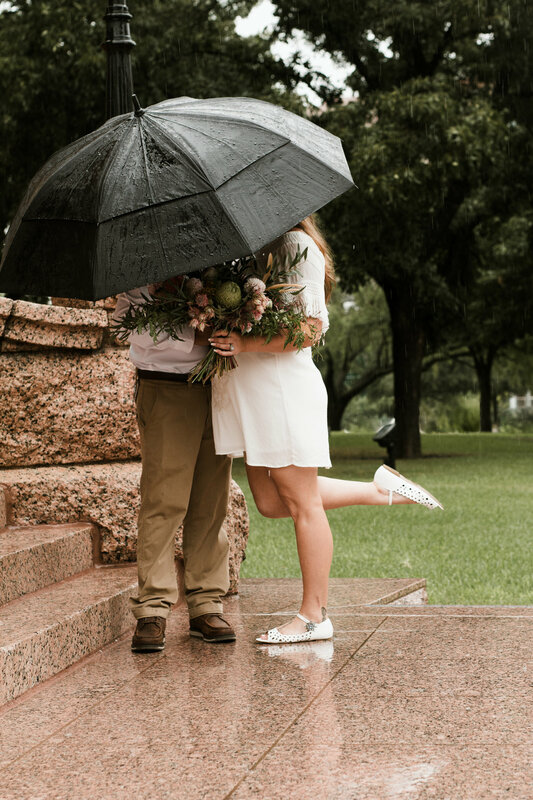 Allie and Atticus, it was a pleasure shooting your beautiful rainy day wedding! 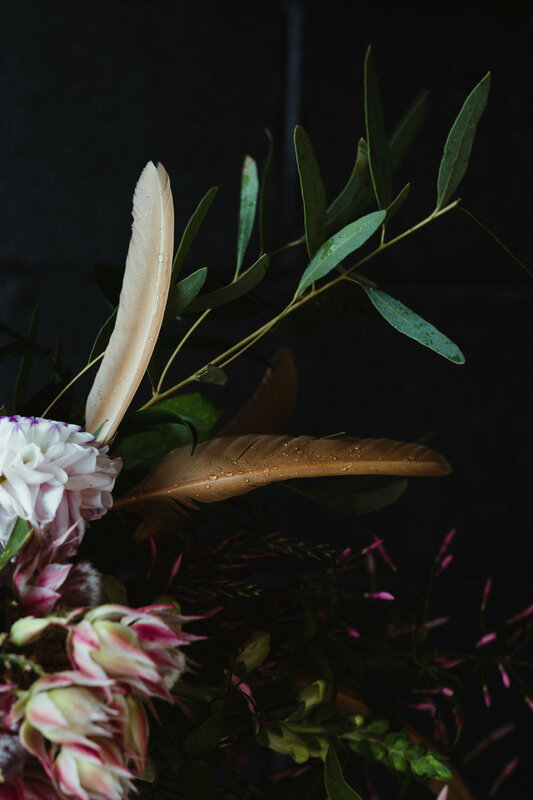 The bouquet was designed by The Greenhouse 817 but included the personal detail of chicken feathers from their very own chickens. The boutonnière was made by Allie and was made up entirely of saved florals from every arrangement Atticus has given her. All these personal touches made shooting the details of their flowers so lovely and meaningful. This summer pushed me out of my comfort zone in many ways, this shoot being one of them. 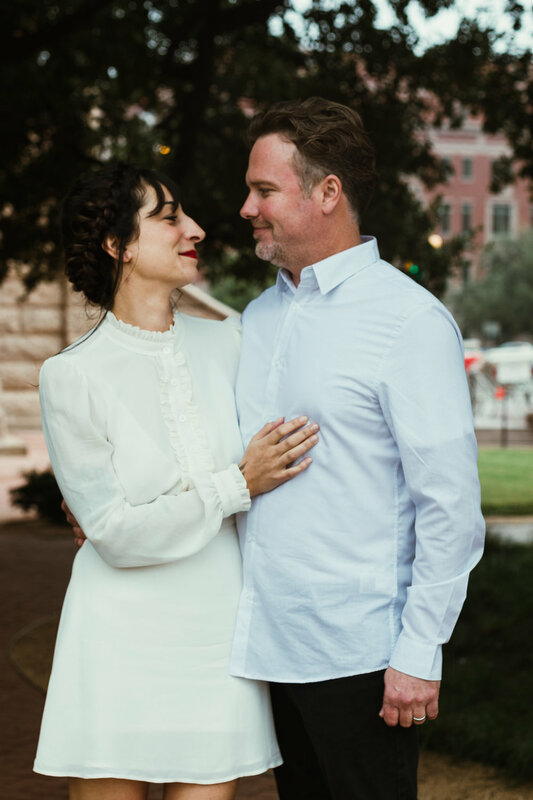 Since moving to Fort Worth and starting my job at Greenhouse 817, I have been lucky to become friends with my boss, Deryk Poynor. So when she called me up and told me the news of her engagement and up coming elopement, I immediately offered to shoot her ceremony. From her flowers to her Gucci shoes, this day was completely them. 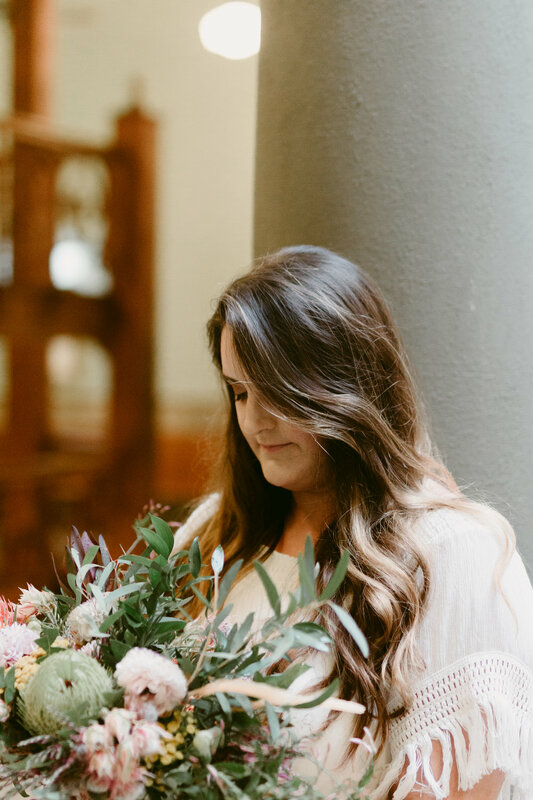 Her bouquet was handmade by her from flowers and greenery she picked in her backyard. 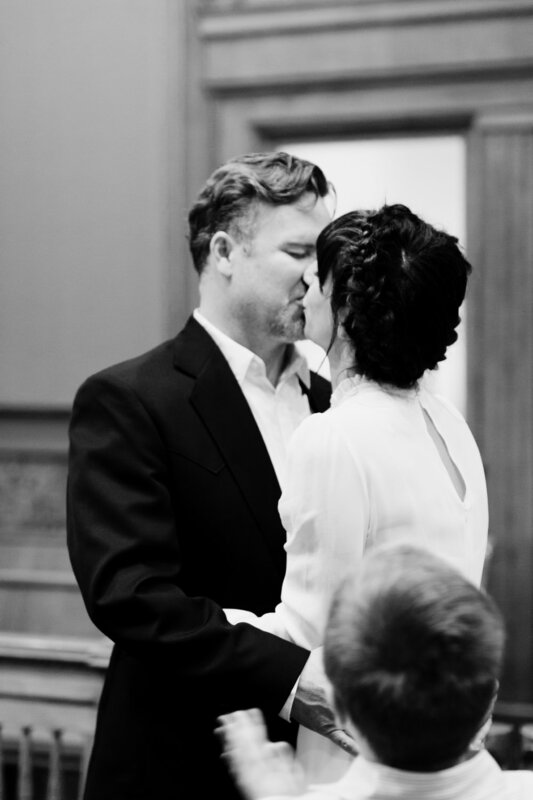 Not a dry eye was in that courthouse (including me) when the two got married. Not only is the first wedding I have shot but also this is the first wedding I have been a guest of that I am actually old enough to remember. I have loved getting to know both Derky and Joesph this summer and their love is so evident when they are together. The way they make each other smile and laugh in person (and on Facetime) which is something everyone wants and hopes for in their own relationship. Thank you so much for letting me be apart of your special day and I can not wait to start shooting more elopements and weddings.